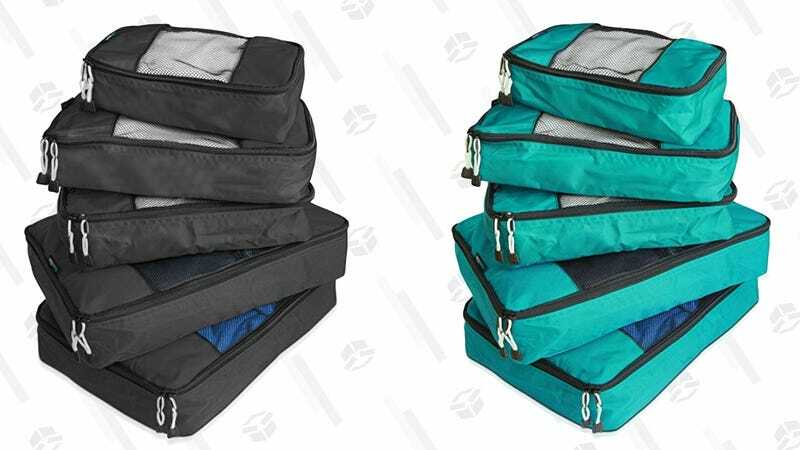 They aren’t double sided, sadly, but these TravelWise packing cubes are actually Amazon’s top sellers, boasting a 4.6 star average from over 2,000 customers, and you can save 20% on the color of your choice today by clipping the coupon. I know what you’re thinking...luggage for your luggage? 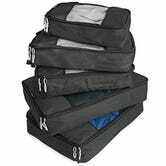 But trust me when I say that they make packing easier by compressing and organizing your clothes, and they make it a lot easier to unpack when you arrive at your destination.